Singer-songwriter Louise Goffin grew up surrounded by music. As the child of acclaimed songwriters Carole King and Gerry Goffin, Louisebegan writing and recording at an early age. At nineteen, she released her debut album, Kid Blue, to critical praise. We got a chance to sit down with Louise to discuss her songwriting process, her legendary parents, starting her own label, and receiving a Grammy nomination for A Holiday Carole. How would you describe your songwriting process? Is there a specific instrument you prefer to compose on? Usually a song starts holding an instrument in my hand and playing and singing. Sometimes it helps to move an idea to an instrument the idea didn’t start on, to see it in a fresh light. An instrument I barely know how to play can lead me to a different place. Other times, playing piano, where I can get around the most, is what will break a song open. It’s usually quietly sitting with it and almost meditating while playing that brings a song to life. Was there ever a specific song or album that inspired you to write your own music? The Beatles albums: Rubber Soul, Magical Mystery Tour, Revolver, Abbey Road, Let It Be. Marvin Gayeand Tammi Terrell, the Sly and The Family Stone album Fresh, Motown records, Joni Mitchell’s, Blue, For The Roses, and The Hissing of Summer Lawns. James Taylor, Neil Young’s After The Gold Rush. Paul Simon, David Bowie, Led Zeppelin – practically all their records which to me still don’t date, The Pretenders’ first and second albums. Peter Gabriel records. Pink Floyd. I’ve always loved songs that put you in a movie lyrically, or ones that sound so full of raw attitude that you could forget your insecurities. I knew I had to have as much access to that as possible in my own heart, mind and fingertips to live and survive life. Growing up as the child of two renowned songwriters, did you worry you wouldn’t be able to cultivate a distinct songwriting style? I had a sense of my own style early on, though not very confident at first. My pen was smarter than my singing voice, and I was still posturing attitudes rather than showing my own vulnerability for a long time. I could write things that I couldn’t believably sing for a long time. What I worried about – having two renowned songwriters as parents – was how I was ever going to write songs even close to the level of expectation from me. I would have rather proved to the world I was good than prove I could be in the charts, which you didn’t necessarily have to be good to do. Because of this drive and feeling, I had so much to learn and so far to go. I kept myself locked up in my house, compulsively trying to get better at it. It’s the “never-good-enough” disease that most people suffer from, but I was able to keep getting record deals to enable me to do little else but stay inside learning how to arrange, play different instruments, record, write, sing. The best of the best know enough to admit they’re better working with a team of people who bring what you don’t have to the table. What was the first song you wrote that you felt truly proud of? Maybe it was “Trapeze” on my first record, Kid Blue. I wrote it when I was 17. I think two or three years after that, there was a song called “Against My Will.” It had lines in it like “we intoxicate our lives with romance, we sober to pain, never wanting to say goodbye or go back the way we came” and “there are some things you cannot kill, I call your name against my will.” I’d dig into some deep angst and torture once in awhile starting out, when I wasn’t being a kid having fun with an amp and an electric guitar. You released 2008’s Bad Little Animals on your own label, Majority of One Records. Did you find this route gave you more freedom with your songwriting? Was there ever a song you found especially difficult to write? The ones where the track comes first and then you have to write or finish the lyrics – those are the hardest for me to write to. In addition to singing and writing music, you’ve played with a variety of musicians, including playing guitar on Tears for Fears’ 1997 tour. Has that experience changed your approach to writing and composing music? What the Tears for Fears tour gave me was that after being on the road for four months, I longed to be home and writing, and I embraced that more when I returned from it. After you play the same show every night, the longing to create something new reaches a high pitch of necessity. I think being home and writing is the soul of everything else that follows. I wrote the songs for Sometimes A Circle after that tour. How did it feel to receive a Grammy nomination for A Holiday Carole? Unreal. I had conflicting beliefs. One was this magical thinking that maybe one day I’d go to the Grammys with something I’d worked on, and the other belief was “no way” is this possible for someone like me. I say someone like me, because in spite of growing up around a lot of success, I had a hard time believing it could come from me. I was more comfortable with the role of thoughtfully ruminating in my room in isolation, and I believed you had to have a thick skin to be out with the movers and shakers, and I definitely didn’t have that. Have you ever been up in a hot air balloon? You don’t feel any different whether you go up or down. In fact, landing just feels the same as going up, only the earth is getting closer to you. There’s no perspective in how it feels till you hit ground. Hearing that the holiday record got a Grammy nomination was like that. I didn’t feel I did anything different, didn’t feel any change of atmospheric pressure. It was just that all of sudden the ground was closer, and those movers and shakers didn’t look a million miles away from me anymore. In the next month, I’m playing a Carole King song in a tribute to her receiving the prestigious George Gershwin award. There are three A Fine Surprise shows that Billy Harvey and I are rehearsing for. I have a good feeling about what’s to come. The wonderful gift about songwriting and spending time learning those songs is feeling prepared with something to give. I’m less preoccupied and more open to receiving the good that comes. It’s always a two-way conversation with the universe. 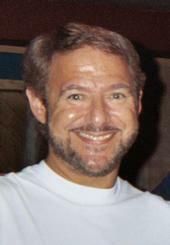 Ken Hirsch won First Prize in the Pop category of the 15th Annual USA Songwriting Competition as well as the Overall Second Prize with the song he wrote "Is That So Bad", co-written with Rosie Casey, Peter Roberts and Hillary Podell. He has also written the numerous hit songs such as “I've Never Been To Me” by Charlene and top 40 hit song “Two Less Lonely People In The World” by Air Supply. His songs have been recorded by legends in the music business. He talks to Kiran Michaels about how he writes songs and how he gets inspiration for it. 1. You have written with the top names in the business today such as Hal David ("Raindrops Keep Fallin' on My Head", "This Guy's in Love with You"), Gerry Goffin ("Will You Love Me Tomorrow"), Paul Williams ("Evergreen"), Howard Greenfield ("Breaking Up Is Hard to Do"), Ron Miller ("I've Never Been To Me" & "Touch Me in the Morning') and have written songs that have been recorded by the the biggest names: Barbara Streisand, Celine Dion, Ray Charles, Stevie Wonder, Air Supply, etc. Can you describe how you write a song? In my case, with most of the above co-writers, I created a complete melody first (which is always subject to change and molding)and then played it for them either live or on tape. Most of these co-writers like to be inspired by a melody and rarely just write a freestanding lyric. With Howie Greenfield, "Two Less Lonely People In The World" started as a title he had come up with from his personal book of titles and lyric fragments. However, there have been just as many co-writes that happen simultaneously in the room which brings a whole other type of energy to the process. On rare occasions I am given a partial/completed lyric or a lyric idea. All three procedures are viable as long as the results work. Every other blue moon I write both music and lyrics and thus avoid any creative conflicts and sharing of royalties! 2. Hal David, Gerry Goffin and Howard Greenfield sounded like the people from the Brill Building. Did you ever write songs at the famed Brill building? No, when I was hitting the streets in 1970, it was kind of the end of the Brill building era but a publisher I played my songs for in the building connected me with Doc Pomus ("Save The Last Dance For Me", "This Magic Moment"), one of the most famous of the Brill Building writers, who became my partner and mentor. 3. How do you get ideas for creating a melody? Other than seeing what bills need to be paid, usually an interesting set of intervals or chord progression can get the juices flowing. 4. Who is your favorite songwriter, music wise? What did you learn from him/her? In Pop it would have to be Burt Bacharach and Carol King. Burt's sophistication combined with his innate soulfulness and Carol's ability to write hooks with a soulful energy are masterful. They write melodies that are both accessible and unpredictable. Then there's everyone else from Irving Berlin to Richard Rogers to Jule Styne to McCartney/Lennon to James Taylor to Ashford & Simpson, etc. 5. Who is your favorite songwriter, lyric wise? I've been fortunate to write with some of the best so they all fall into that category. I personally like lyrics that aren't too obscure, can be easily grasped or tell a great story. Everyone from Sammy Cahn to Marty Panzer to so many of the country writers who really are wordsmiths of the first order. 6. How did you write your winning song? Did the melody come first or the lyrics or background music? Our song "Is That So Bad" (co-written with Rosie Casey, Peter Roberts and Hillary Podell) actually started with a track that Peter was working on. I added most of the melody and Rosie and Hillary, an artist we were working with, created the lyric. It was loosely based on Hillary's own experience and then fleshed out by Rosie. A fortunate confluence of events! The final demo was produced by Smidi Smith and sung by Windy Wagner, so it's had quite a journey - so far! 7. The top 3 winners this past year were all collaborations. Is collaboration in Songwriting important these days? It is and it isn't. It depends on your strengths and ability to work with others. But collaborations generally bring a lot of energy and ideas to the table that you necessarily wouldn't have come up with yourself. 8. Can you describe the collaboration with other writers and producers? If everyone is pulling in the same direction it can be inspiring. It helps if everyone can put their egos aside and concentrate on the work. It's always a gamble, certain collaborators pull things out of you that you did not foresee. It sometimes puts you into a different zone than what you're comfortable with but that can have positive results. I've been writing a musical "An Officer and a Gentleman" with Robin Lerner ("This Kiss") and although we've never collaborated before we're both bringing different sensibilities to the project and it seems to be melding really well. So the crapshoot this time is paying off! 9. What advice would you give to up-and-coming songwriters out there? It's all been said a million times but try to go with your gut and try not to compromise too much. Having said that, try to be as objective as you can. Don't fall in love with everything you write, many of the times it can be improved. Don't be reluctant to give up on an idea if it's not working. I try to separate myself from the writing and put myself in the place of the audience and imagine if I would enjoy listening to this song or if it moves me. And it helps to have a very thick skin, never take the rejections personally - as hard as they may be to accept, there might be a fairy tale ending just around the corner. And always keep the tape recorder running! Ken will be performing his winning song along with a medley of his hit songs “I've Never Been To Me”, “Two Less Only People In The World”, etc at USA Songwriting Competition's showcase at Bluebird Cafe on May 5th.